A Water Conservation project through the installation of Check Dams to conserve water for drinking and agriculture purposes and assist backward communities in the hill tracts adjoining Sri Anandpur Sahib. The project was undertaken in collaboration with PHD Chamber of Commerce and the Rotary Club with domestic and International participation. Rotary Club teams from USA, Canada, Australia, UK, Delhi and Gurgaon participated. The Teams arrived on 30th January 2017 to take up the work in the tradition of ‘Kar Sewa’ (community service) on a war footing. 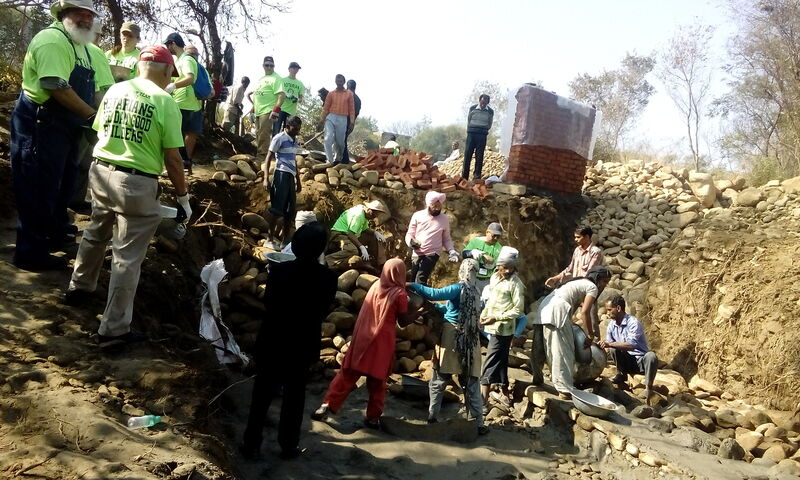 These check dams have helped the local communities to get safe and hygienic drinking water through this water conservation project supported by the Anandpur Sahib Heritage Foundation.